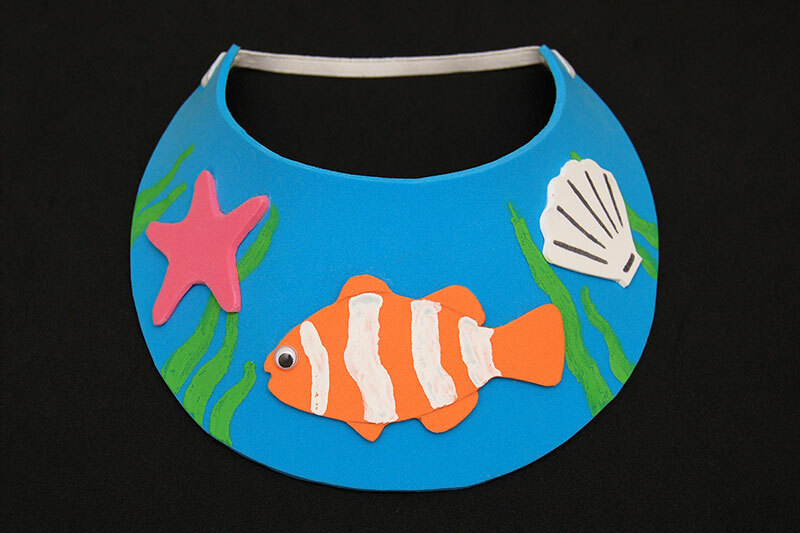 Make your own sun visor out of craft foam and using our printable visor template. Have fun decorating it with a variety of materials. 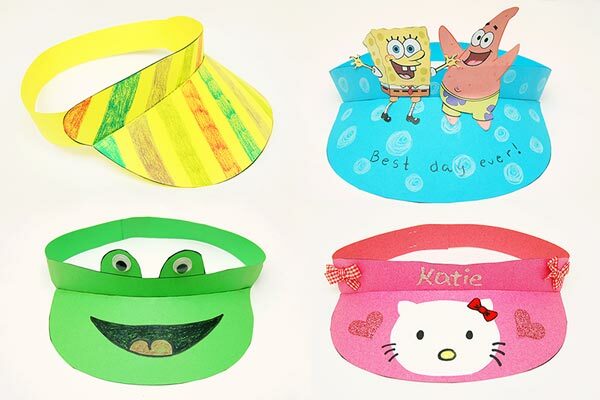 Things to decorate your visor with: stickers, craft foam shapes, wiggle eyes, felt cut-outs, glitter, pompoms, fabric, etc. 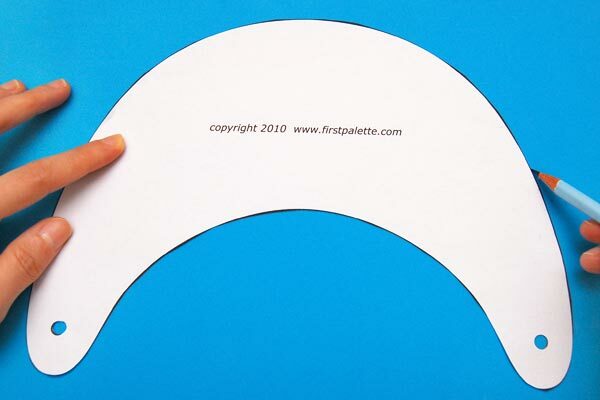 Print out this visor template on A4 or Letter size paper. 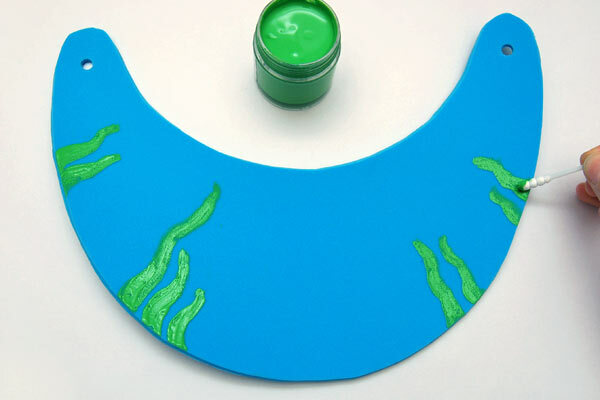 2Make a visor outline on craft foam. Cut out the visor template. 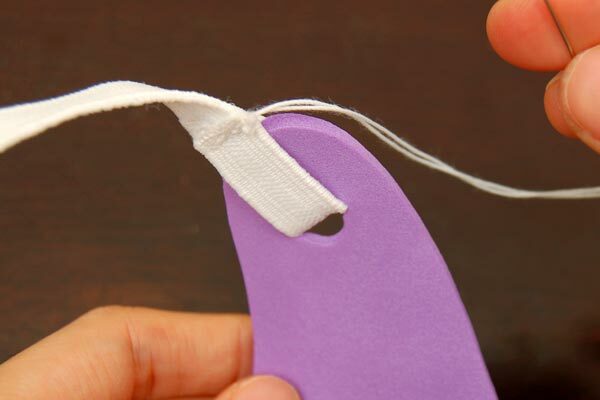 Punch a pair of holes near the ends of the template marked by a pair of small circles. 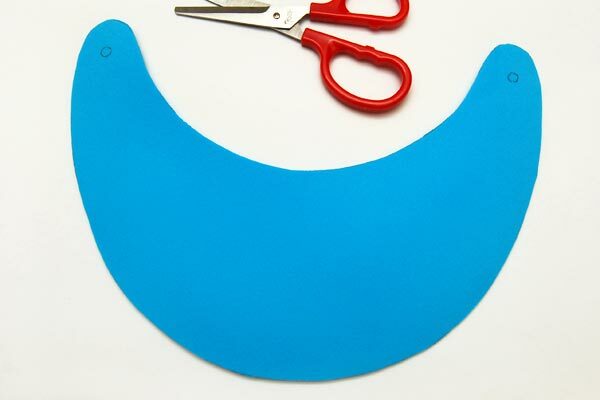 Place the visor template on a sheet of craft foam. 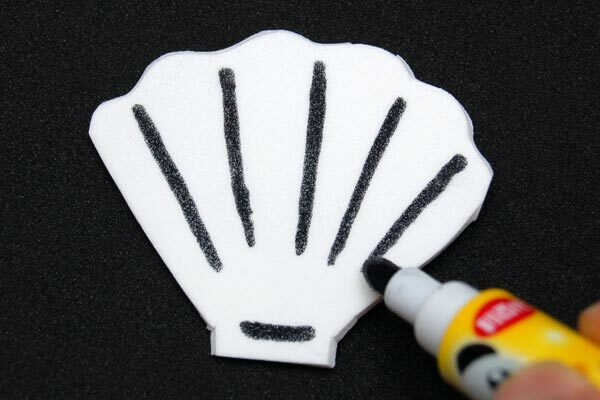 Use a pencil to trace the outline of the visor onto the craft foam. 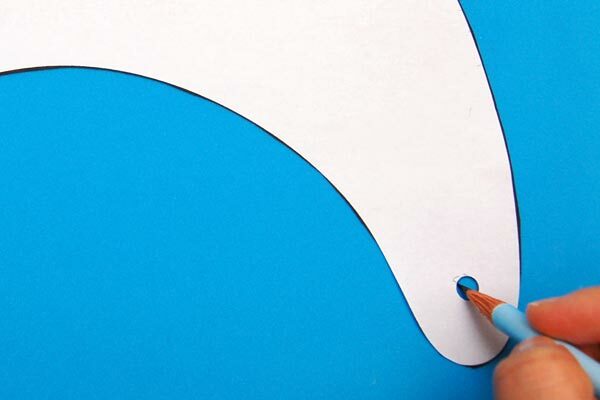 Trace the outline of each hole onto the craft foam. 4Cut out the foam visor. Cut out the craft foam visor. Punch holes on the pair of marked circles near the ends of the craft foam visor. Think of a design for your visor. 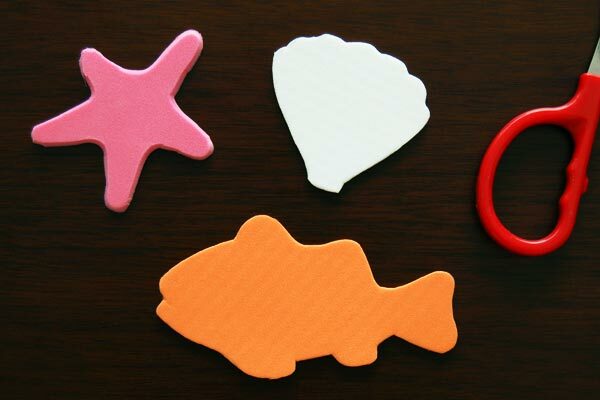 Cut out the main shapes out of craft foam, felt or fabric. 7Create details on the shapes. a.) Paint some patterns - dip a paint brush or a cotton swab into undiluted acrylic paint and make make lines, dots and other patterns. b.) 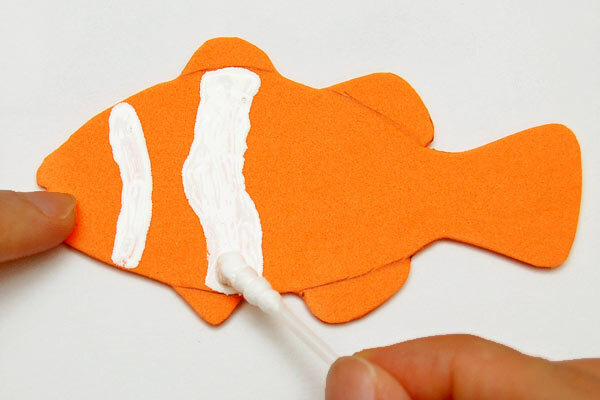 Draw details - draw lines and details using permanent markers, glitter glue or puffy paint. 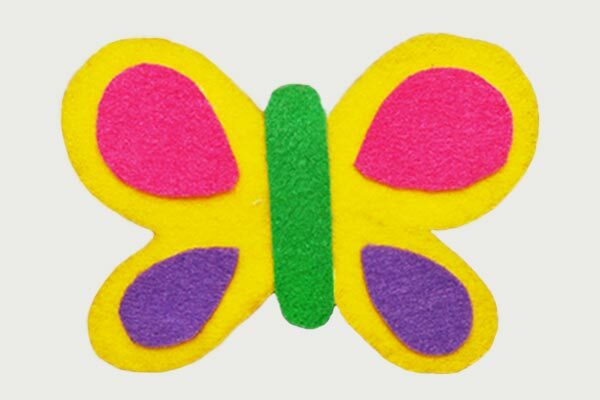 c.) Add smaller shapes - cut out and glue smaller shapes out of craft foam, felt or fabric. Before gluing the shapes onto the visor, you can add some background details first. You can either use colored markers or paint to make these details. Glue the shapes onto the visor. Cut a 10 to 12 inch length of elastic band. 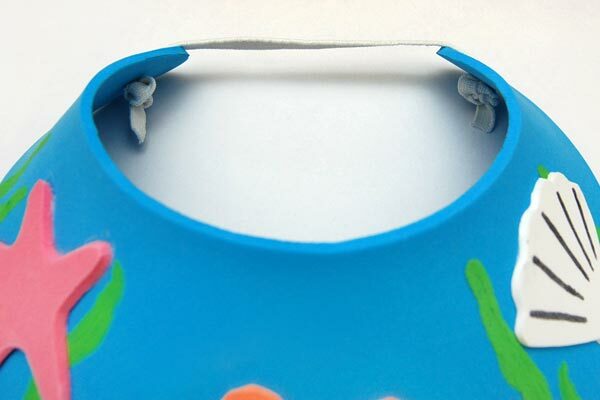 Attach the elastic band to the visor by either knotting the ends or by sewing them onto the visor. a.) Make knots - tie the ends of the elastic around the pair of holes on the visor. If you are using a thick elastic band like I did, it is better to knot each end from the inner side of the visor. Try on the visor and adjust the length of the elastic for a better fit. b.) Sew the ends - sew the ends of the elastic band around the holes of the visor. Before stitching the second end, make sure that the length of the elastic is just right for a snug-fitting visor. Let shapes stick out from the edges. 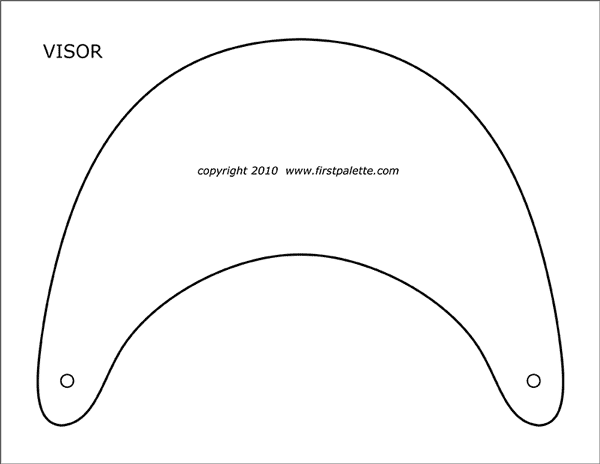 When decorating the visor, you can position some shapes so that they go over the edges of the visor. 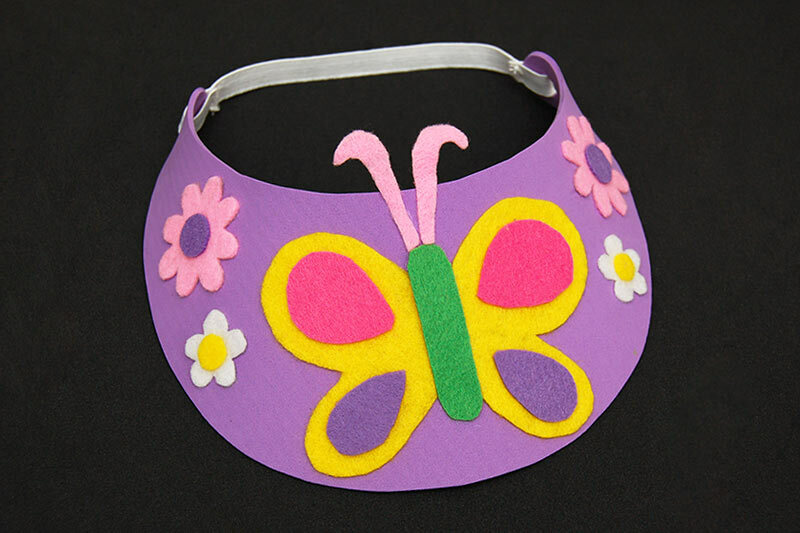 The butterfly's antenna sticking out from the top edge creates a charming touch to this spring-inspired hat. Character visors are fun! 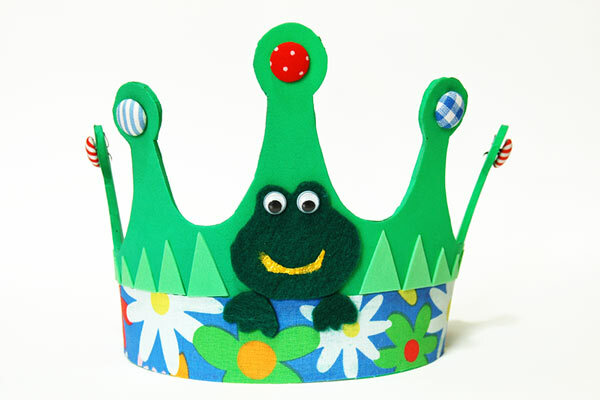 They are also a terrific alternative to cone-shaped birthday hats. 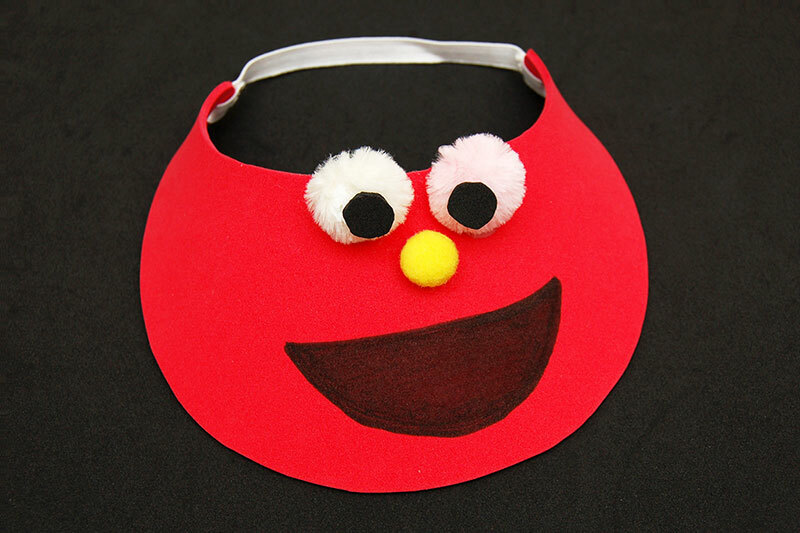 This easy Elmo visor was made without using any cut-outs. Eyes - glue a pair of large white pompoms near the visor's top edge. 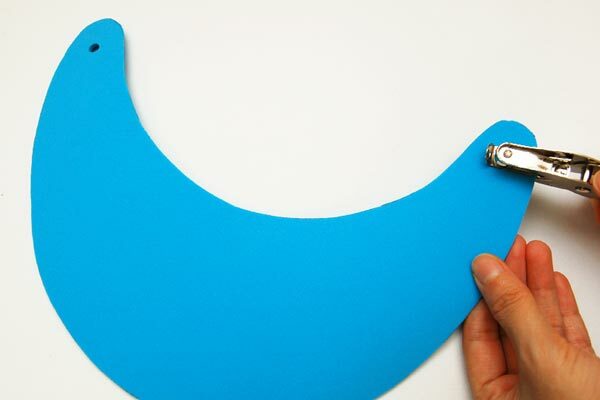 Glue a small black paper or craft foam circle onto each white pompom. Nose - glue a small colored pompom below the eyes. 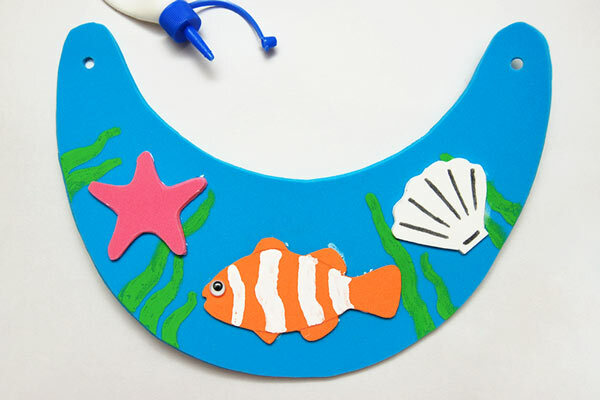 Mouth - use a black permanent marker to draw a large boat-shaped mouth below the nose. 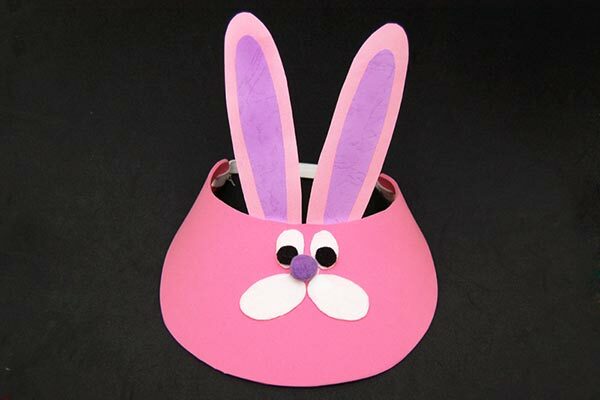 Make craft foam visors when attending games, parades or field trips. 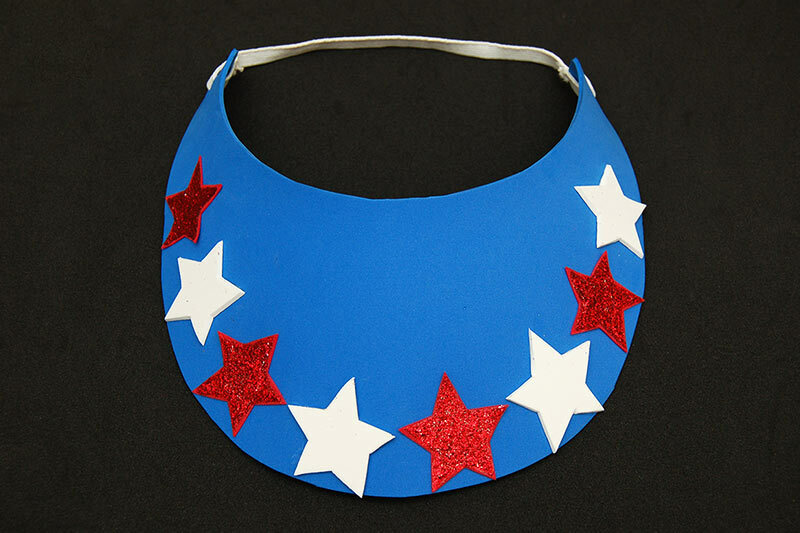 Use your country's flag colors for national celebrations, your school or city colors when cheering for your favorite team (you can even write the team name on your visor), or write your school's name when going on a field trip.